When it comes to being productive, most Mac users turn to a task management tool. If you’ve tuned in recently, you know how much we love Things at The Sweet Setup! And there are plenty of other options in this category. In some ways, your calendar is one of the most important tools for getting things done. Many people rarely use their calendar. Maybe you don’t work on a team with a lot of meetings, or perhaps you use your calendar, but only for appointments and meetings where there is a set amount of time. If so, you could be missing out on one of the best tools at your disposal. While most people still stick to the use of task or project management tools, there is a growing community of people who are turning to the calendar. The value of using one is that it forces you to consider the limited resource of time. You only have so much of it (the same as every other person on the planet). 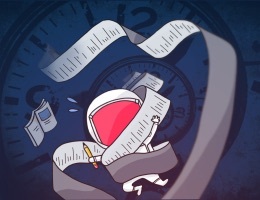 When you focus only on a task manager, it’s too easy to come up with a long list of things to do that will in no way fit in the time you have available to work on it. Even with a robust workflow of identifying core tasks for a day (perhaps using something like the Today view in Things), you can create a list that is not attainable. This can lead to frustration, even when you manage to get a lot done. There’s always more work left on your list. When you use the calendar as your guide, you are forced to be a little more honest with your planning. This is where habits like time boxing come in. It’s no wonder there’s a lot of focus on mapping out the available chunks of time in your day. Another benefit of using your calendar is that it enables you to get a clear picture of your time. When you look at your day or week as a whole in grid form, you can see how much time is available to you. Just look at the #bujo community: there’s no shortage of lovely, illustrated and hand-drawn weekly spreads. While that looks great (and can be fun to draw out), the advantage of the digital calendar is the flexibility. 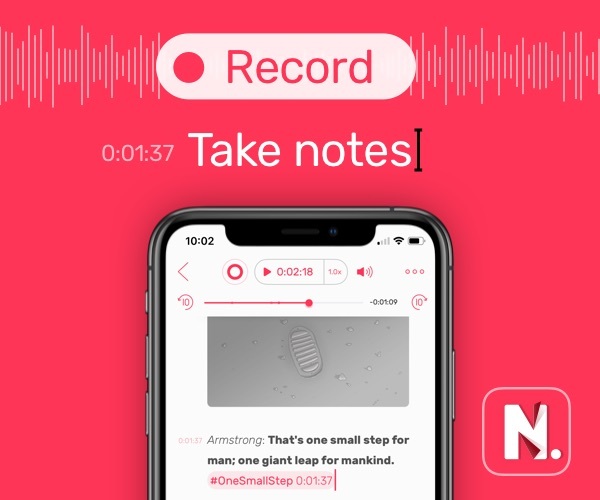 As your week progresses, plans inevitably change, and apps like Fantastical let you treat your events like building blocks, moving them around as required. When I do my weekly review, I open my notebook, Things, and Fantastical. As I review the main tasks I want to complete each week, I love to have the week in view with Fantastical maximized on my screen. An example for me has been training to run my first marathon. I know I need to get in 3–5 runs each week and each of those takes up a good chunk of time. 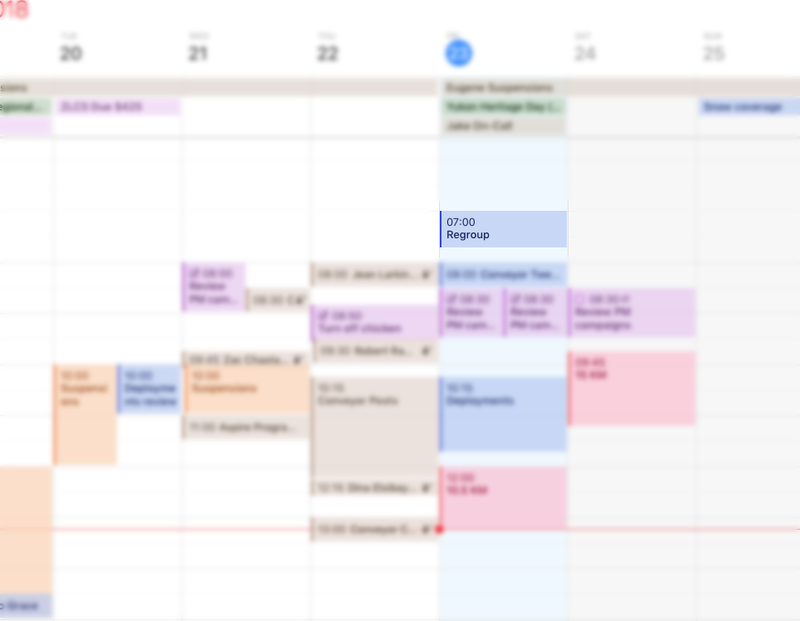 As I add those runs to my calendar, I get a sense of where they fit best, and then I can block out several longer sessions for focusing on my most important tasks of the week. It’s tough to beat the picture I get of my week! One other thing I enjoy about using the calendar as a Mac user is how well Reminders can be incorporated. 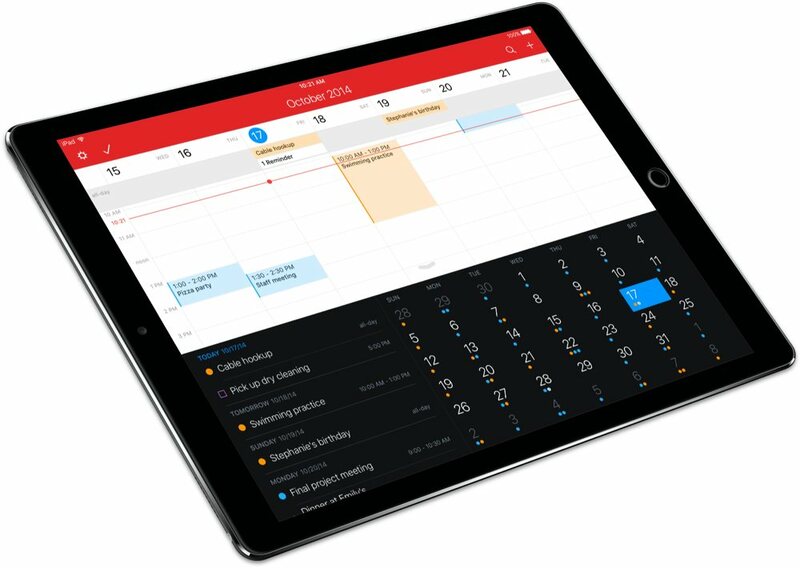 It’s just another reason why Fantastical is our calendar app of choice. Adding time-based reminders is quick and easy. Since I use Things to my intentions, that is, the tasks I hope to accomplish each day, it’s nice to have reminders about little things that have a true time commitment in the calendar as well. Taking the chicken out of the oven at 2 pm could get lost in my Today view in Things (even with a reminder). When it’s on my calendar, I get a beep and notification on all my devices. I’m more honest with myself. I’m better at recognizing the importance of rest and play. It’s tempting to hyper-schedule — to fill in every available 30-minute increment of the waking day — but that is folly and only leads to burnout and the desire to throw everything out the window. What is needed is spontaneity and time to do things you enjoy. A calendar that is full of colored blocks is a problem. When I see my week getting too full, I pull back and re-evaluate. Leaving some empty spots that give you the freedom to do whatever feels right at the time is downright peaceful.